In the 24th Violet Session, a mothers day special, I sit down with Lulu Guinness who founded her eponymous fashion business in 1989 and gained worldwide recognition for her bold designs and attitude. 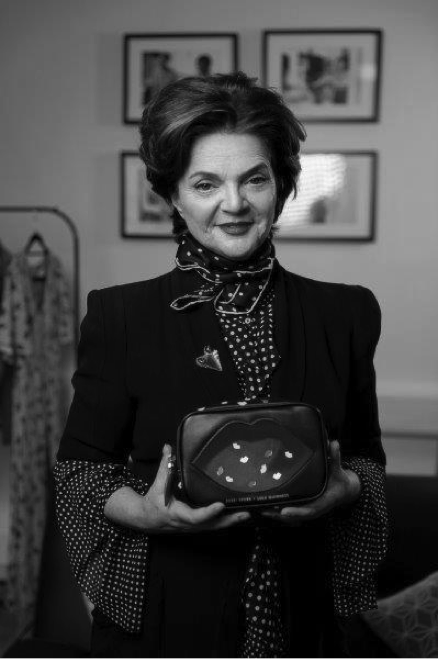 Lulu was awarded an OBE for her services to the fashion industry in 2006 and now with flagship stores in many corners of the world has become a household name. In this episode we discuss the importance of being “savvy” in business, the necessity of bravery and confidence in the beginning, and the challenges of raising children while simultaneously building a successful brand. We discuss what being a “creative” used to mean and the ever-evolving meaning of the word today. Lulu tells me she can do one thing at a time, so we talk and then we eat; or rather dive straight into a cream filled Victoria sponge.